Landlords should use the Washington 20 Day Notice to Vacate to properly terminate a month to month tenancy with out any cause. In the state of Washington, there are specific procedures to follow in order to terminate a month to month tenancy. 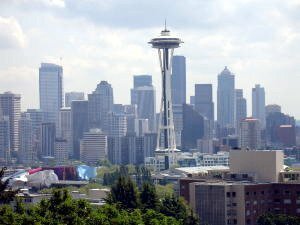 Unless you are ending a tenancy in Seattle, there is no cause needed to terminate a month to month arrangement. This means that there needs to be no reason at all to end the lease. However, proper notice must be served to the tenant who holds possession of the rental unit, and it must be provided to that tenant AT LEAST twenty days prior to the next time rent is due. For instance, JOE TENANT (fictitious name) lives at 45 Main St in Apartment 12. You, the landlord, wish to have the property back so that your mother-in-law may live there. JOE TENANT is on a month-to-month lease or tenancy where his rent is due to be paid on or before the first of each month. His next rent due is June 1st. You must provide JOE TENANT the 20-day notice on or before June 11th. This fulfills the notice requirement of at LEAST twenty days. Once the tenant receives the notice, he must move out of the apartment or home he rents from you before the expiration of the 20-day period. If the tenant does not move, then off to the local courthouse you go to file the necessary paperwork to have your tenant forcibly removed. A landlord should never take it upon himself to use illegal measures such as changing the locks, shutting off utilities or anything that could be construed as removing the tenant by illicit force, hence the word illegal. Not following specific legal procedures and going through the court to evict a tenant in Washington can put a Washington landlord in a bad situation. This notice can be provided to the tenant by either handing it to him personally, leaving it with someone “of age” at the rental unit plus sending it first-class mail, or posting it in an obvious space outside of the property.